The majority of birthing mothers at private hospitals today decide to get an epidural. Sometimes this is a decision made before labor ever began or a change in plans after a long and drawn our labor. The great thing about an epidural is it allows women to be awake and aware yet free from pain during labor and birth. It allows an exhausted mother to rest or sleep. And while an epidural’s usual effect is to slow labor, the profound relaxation they offer can sometimes put a stalled labor back on track. However, epidurals, like all medical interventions, come with inherent risks, including the increased risk of a vacuum or forceps assisted delivery, an increased risk of an episiotomy or tear, an increased risk in a drop in blood pressure, possible nausea and itching as side effects of the narcotics, and the possibility of problems with breastfeeding. A very small percentage of mothers may experience life-threatening complications. Some mothers may also feel more anxious or stressed by all of the cords and beeps and noises associated with the epidural, and the common side effects (drop in blood pressure, difficulty breathing or swallowing) may case temporary psychological distress. First, choose a care provider with a cesarean surgery rate of 15% or less. Studies show that in the hands of care providers with low rates, epidurals do not increase cesarean odds. Practitioners who have vaginal birth as a goal will have more patience and manage labor and epidurals differently than others. Second, delay an epidural until active, progressive labor (around 5-6 cm). This will help prevent two problems: running a fever, which becomes more likely the longer the epidural is in place, and the baby persisting in the occiput posterior position (head down, facing the mother’s belly). These complications increase the likelihood of cesarean or instrumental vaginal delivery. And because epidural-related fever cannot be distinguished from fevers caused by infection, babies are more likely to be kept in the nursery for observation, undergo blood tests and possibly a spinal tap, and be given precautionary I.V. antibiotics. Third, move every 30-60 minutes by rotating from your left to right side. If you baby is in an anterior position, keeping a pillow between your legs will be sufficient. If your baby is in a posterior position, trying extending your top leg far over the bottom leg and lie with a pillow supporting your top shoulder and arm so that you are almost lying on your belly (but obviously not fully on your belly!!) This often helps the baby to navigate the pelvis during a posterior birth. Fourth, many mothers begin to shake and their teeth chatter as the hormones of birth, including adrenaline, fill their body. A wise midwife once showed me a way to help keep a mother “centered” during these episodes and help the shaking to stop. Place the father’s (or other support person) hand over the mother’s heart, directly on her skin, providing firm pressure over her heart chakra. Encourage the mother to draw on the strength of her partner or other support person to become centered and grounded once again and to reestablish calm and steady breathing. Keep the firm pressure of the hand over the heart for as long as needed or every time the shaking returns. Finally, whether an epidural is Plan A or B, take classes that prepare you for coping with labor without one and consider hiring a doula. You will want a variety of comfort measures and coping strategies at your fingertips. 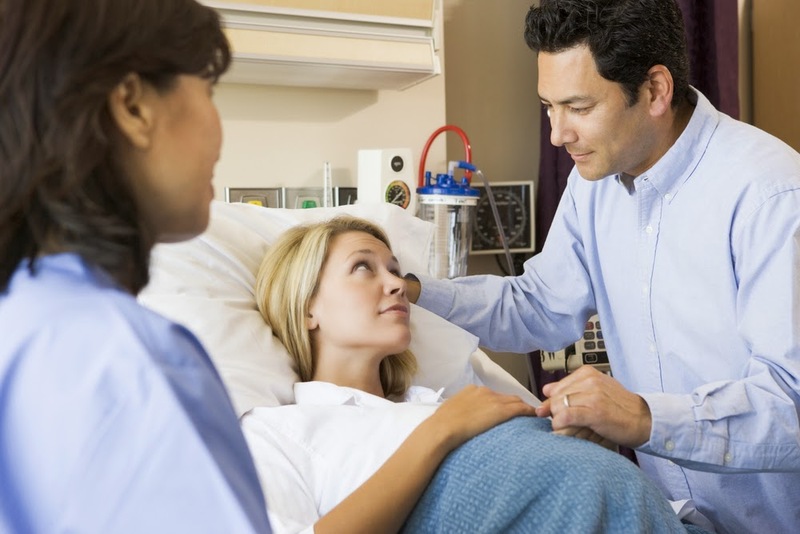 For one thing, you may need them if you are delaying an epidural until active labor. For another, the anesthesiologist may not be available when you want your epidural, or you may be among the 1 in 10 women for whom it does not work. It is also possible that labor will turn out to be easier than you thought and you decide you don’t need one after all. Epidurals can be a great medical tool when used wisely and with caution by mothers who are informed and supported.